would say. Being able to attend events, promotions, workshops et al and being able to meet people in all walks of life, hear what they say on random stuffs and share with them experiences that others haven't. 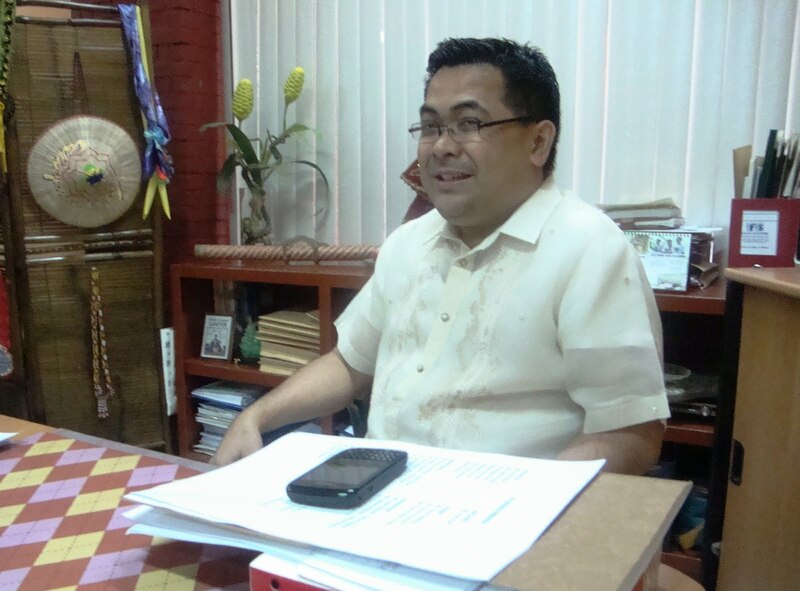 Such experience like being able to meet Department of Education Assistant Secretary Tonisito Machiavelli C. Umali. I never took up any journalism course or Law for that matter to be in one room with this seeming gentlemen, to top it all of, having to eat lunch with him in one table. I'm just a commoner, a Filipino citizen like others who give high regards to those in the government seats. I'm just a mom who like other Filipino moms would want the best education for their family. I'm just a simple person who loves meaningful conversions and enjoys chit chats with friends and never in my life have I thought of having one with a noble government official. Maybe you are thinking how was I able to be in this, and why is this write up in a food blog. Well, its a lunch! We didn't talk about the food (well a little it's just that he doesn't want us to write about him eating pancit from the DepEd Bistro, oopss!) or the place where we ate, nevertheless, it was a lunch sponsored by Assec. Umali's office. A different lunch should I say, for we talked about what the country's future in terms of Sports and Education. I have written a specific blog about Palarong Pambansa and will be doing another for K to 12 Basic Education Program, but let me give you a gist on how the discussion ran. I'm sure you would ask me how the guy is. Let me tell you first who he is. The Assistant Secretary for Legal and Legislative Affairs helped draft Senate and House bills, he also engages in litigation practice, prepares court pleadings, provides legal opinions, does research on legal matters and many more. Wheew! Assistant Secretary Tonisito M.C. Umali is a member of the Integrated Bar of the Philippines and the California State Bar. He is also a member of the United States District Courts (Federal Court) of Central, Eastern and Southern California. Meeting him first time is a hopeful and a blessing. He is a delight to talk to, very cordial, and hopefully he can be a man we can say who did justice to his assignment. Together with other bloggers, we were briefed about how Palarong Pambansa will be executed, and all other details of the said event, which will be held on May 8 to 14 at Dapitan City, Zamboanga del Norte. The discussion rolled over the theme for this year's Palarong Pambansa which is Clean, Green and Eco- friendly 2011 Palarong Pambansa, under DepEd Memorandum No. 97, s. 2011. He will be the one spearheading this year's Palaro. Followed by a very sound discussion on The Enhanced K+12 Basic Education Program. According to Pres. Benigno Aquino III, there is a need to add two years to our basic education. Those who can afford, pay up to fourteen years of schooling before university., Thus, these children are getting into the best universities and the best jobs after graduation. So, he suggested that at least 12 years for our public school children to have an even chance at succeeding. To summarize the talk let me give you the bedrock of what DepEd is suggesting. The model involves Kindergarten, six years of elementary education, four years of junior high school (Grades 7 to 10) and two years of senior high school (Grades 11 to 12). The two years of senior high school intend to provide time for students to consolidate acquired academic skills and competencies. The curriculum will allow specializations in science, and technology, music and arts, agriculture and fisheries, sports, business and entrepreneurship, etc. I have given my personal consensus on this, to Assec. Umali and he knows how tough the country will be facing once the change occur or the bill is passed. Together with another blogger who like me have kids going to school, and we are much concerned about the additional expenses we are to make just to comply with the law. As an educator myself, gravid issues are still at hand waiting to be sufficed so that our education system should be as effective with that of the private schools. In our time, public schools need more well-trained and dedicated teachers, physical facilities like classrooms, libraries, laboratories, to name a few, Don't you think we don't need an upgrade in our curriculum but fill up the gaps our public schools have. But then again, that's me!